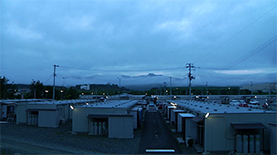 Nuclear Nation II follows a new group of people exiled from Futaba, the region occupied by the crippled Fukushima Daiichi nuclear power plant. 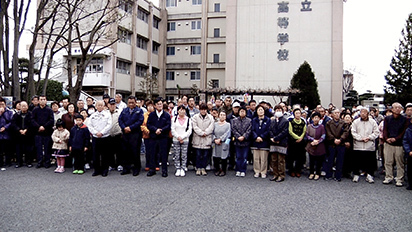 Since the 1960s, Futaba had been promised prosperity with tax breaks and major subsidies to make up for the presence of the plant... until the townspeople lost their homeland on March 11, 2011. The film portrays their lives as refugees in an abandoned high school, and in temporary housing. 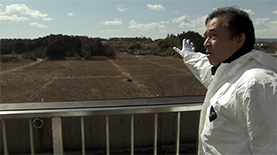 The political fallout from the nuclear disaster results in conflict between residents, and the mayor is forced to resign. 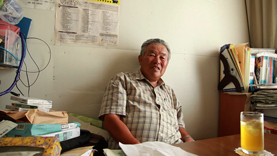 Many decide to move back to Fukushima prefecture, just outside the evacuation zone. The town finds itself divided by the arbitrariness of evacuation, radiation levels, and compensation guidelines from the plant's operator. 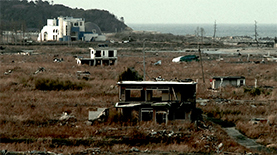 And then, the Japanese government announces a plan to turn Futaba into an official, literal wasteland. Is it possible to truly compensate the townspeople for what they have lost? Through their agonies and frustrations, the film questions the real cost of nuclear energy and unbridled capitalism. 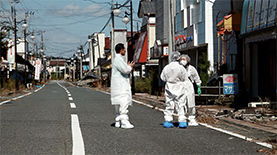 Many people have forgotten what happened in Fukushima. For them, it’s ancient history. But radiation still leaks from the Fukushima Daiichi nuclear power plant. Contaminated water is flowing into the ocean, unstoppable, though the Prime Minister has announced it is “under control.” Every time the plant's operator, TEPCO, removes debris from the destroyed reactor buildings, radiation levels go up as far as 100km away. Almost 4 years after the accident, more than 100 thousand people are still displaced. 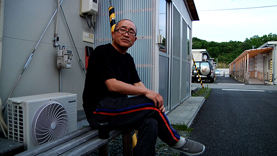 Most of them are living in temporary housing or subsidized apartments in Fukushima. It is becoming a modern-day concentration camp. TEPCO is starting to compensate them. Through property assessments, they put a price on houses and land, based on what they were worth on March 10, 2011, the day before the accident. Century-old heritage homes in Futaba are valued at next to nothing, about the same as an empty plot of land. People from the “difficult-to-return” zone are not fully compensated since it’s assumed they will be able to return “someday.” But the government won't say when they can expect that “someday” to come. Japan’s Minister of the Environment says “it’s just a matter of kaneme (money).” Is that really all the people of Fukushima have lost? The community is dissipating. Connections between townspeople are disintegrating. The history and culture of Futaba, fostered over generations, is dying. It's as though time stopped there on March 12th, 2011, the day they evacuated. There is no future where the town's 600 children can grow up together, in a safe and secure environment. But neither TEPCO nor the Japanese government accounts for this. 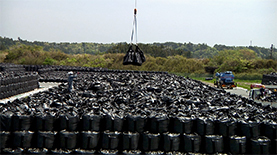 The government has planned to build what they call “interim storage sites” for contaminated waste. They will start loading in radioactive soil in January 2015. Why do evacuees have to sell their homeland so it can become a nuclear dump? It’s a question of ethics. 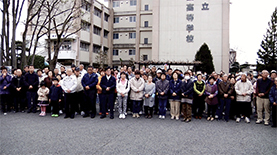 Their towns were used by TEPCO for over 40 years without being told what they stood to lose in the event of an accident. They were not told they could lose their land, their more-than-1,000-year history, the prosperity that was supposed to continue beyond the first 40 years after the plants were built. 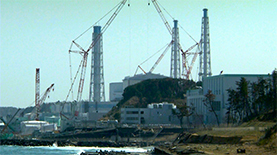 Almost 100% of the electricity Fukushima Daiichi produced was sent to the Tokyo metropolitan area. Tokyo has blindly pushed this risk far away, onto rural communities like Futaba. It's a feudalistic relationship between small towns and the central government that has persisted despite the Meiji Restoration and the loss of WWII. I call it modern colonialism. We now realize we were selling our souls to demons just as Goethe’s Faust did. The contamination is not limited to Fukushima. It is spreading all over Japan and the Pacific ocean. When we imported the technology, we swallowed President Eisenhower’s idea of “Atoms for Peace” whole, as something separate from the A-bombs that hit Hiroshima and Nagasaki. But we have now subjected ourselves to the same contamination and after-effects. We brainwashed ourselves into thinking this would make our future bright. Now our ignorance and recklessness are backfiring, but many Japanese including government officials, don't want to admit it's our own fault. Our Faustian exchange has come back to haunt us. I strongly believe we need to face this inconvenient truth. Atsushi Funahashi's debut feature Echoes (2001) won three jury and audience awards at the Annonay International Film Festival in France. His second film, Big River (2006), was selected for the Berlinale Co-Production Market and PPP (Pusan Promotion Plan) at its project stage, then picked up and produced by Office Kitano. The film was shown at various film festivals (including Berlin, Pusan, Karlovy Vary, Sao Paolo, and Shanghai). 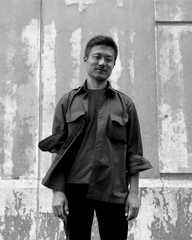 Funahashi lives between Tokyo and New York, making film & television projects in both the USA and Japan. 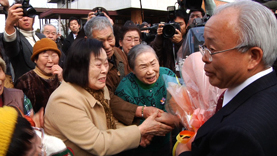 His US documentary For the Joyful Moment of Life (2005), won a Telly Award. His latest short Radioactive (2014) received the Edward Snowden award at the Signes de Nuit International Film Festival. All 5 of his recent feature films were invited to the Berlin International Film Festival and have screened throughout Europe, Asia, and the Americas. 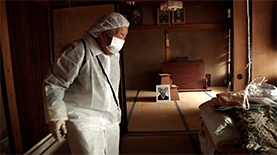 His latest film is Nuclear Nation II (2014), the follow-up to his first documentary about Fukushima refugees. Awards: Special Jury Prize, Audience Award, Special Jury Prize of All Time (Annonay, France, 2003). 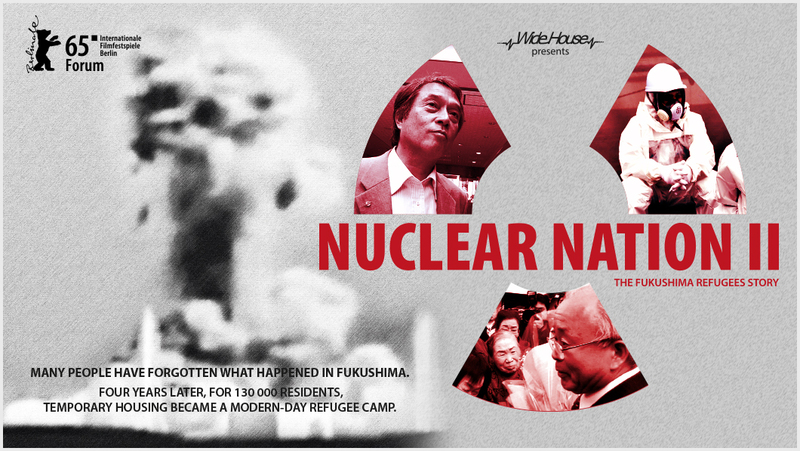 Please see NuclearNation2-Presskit.pdf for the complete filmography. Masami Yoshizawa, Ranch Emu Ltd.
Yael Chouraqui & Matthias Angoulvant, festivals.